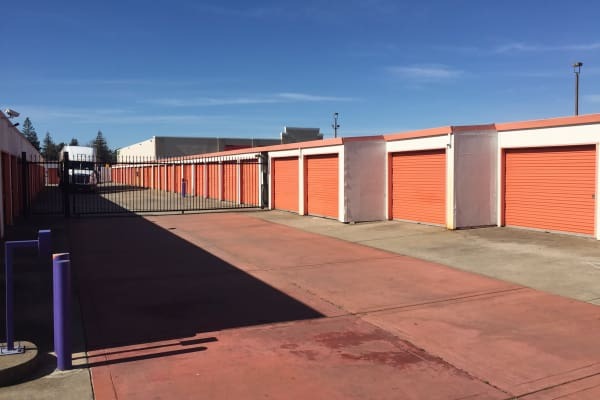 At Trojan Storage, our self storage units for rent in Sacramento, CA, come in a variety of sizes to meet your specific storage needs. Smaller, closet-sized units can be used to store the odds and ends you want out of the garage or to make extra room in your home. Larger units help residents in the middle of a move, or they can be useful for businesses wanting to store extra inventory, office equipment, and supplies. At Trojan Storage, our individually alarmed units feature access 7 days a week at times that work with your schedule. Our storage facility includes ground-level units with drive-up access for the ultimate convenience. We work hard to provide our customers with a clean facility that appeals to your specific self storage need. We offer regular specials as well as senior and military discounts at our Sacramento storage facility near Florin. Contact us today for more information about specific storage units for rent in Sacramento.